Washington has compiled a list of the Hanford environmental cleanup priorities it believes are urgent as Hanford officials lay out a plan for far more work than is likely to be funded. Department of Energy Hanford officials have proposed a budget for fiscal 2016 that would require $3.6 billion. DOE is required by the Tri-Party Agreement to request enough money to meet Hanford legal obligations. In recent years, the Hanford budget has been a little more than $2 billion. The state has warned DOE that continued spending at current levels will result not only in continued failure to meet the 2010 court-enforced consent decree and Tri-Party Agreement deadlines, but also will put Hanford further out of compliance with the state Hazardous Waste Management Act and the U.S. Resource Conservation and Recovery Act. The state Department of Ecology has given DOE a list of priority projects for fiscal 2016, including high-profile projects under the DOE Office of River Protection to retrieve and treat tank waste. But it also lists significant other work under the DOE Richland Operations Office. DOE began dealing with about 37,400 containers of waste -- including boxes and drums -- in the 1990s that were temporarily buried until the nation had a national repository for debris contaminated with plutonium. About 12,500 containers are still buried and more than 8,800 containers are stored in Hanford's Central Waste Complex. DOE has stopped retrieving containers because of tight budgets, but is required by the Tri-Party Agreement to resume digging up temporarily buried waste in fiscal 2015 and 2016. Most of the containers were filled from 1970 through 1988 and DOE has reported an increased frequency of leaking containers since 2011, according to the state. DOE can expect more deterioration of containers and should include money to put containers in overpacks in fiscal 2016, the state said in a letter to DOE. The state also is calling for work to help finish cleaning up Hanford along the Columbia River, with mostly high hazard work left to complete there after 2015. DOE must budget toward completing cleanup of the 618-11 Burial Ground, a high-hazard burial ground near the Energy Northwest commercial nuclear power plant, in fiscal 2016 to have work finished by a fall 2018 deadline, according to the state. The state also is concerned that DOE has not started to design modification to T Plant in central Hanford to allow it to store radioactive sludge. DOE plans to move the sludge, now stored in underwater containers at the K West Basin near the Columbia River, to central Hanford to protect the river. Effluent treatment facilities that will be needed to support waste treatment projects need repairs or replacement and money toward that should be available in fiscal 2016, according to the state. 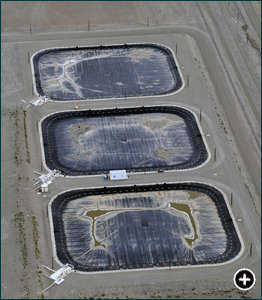 The Liquid Effluent Retention Facility -- three storage basins that can hold 23 million gallons of waste water -- will reach its life expectancy in 2015 and DOE has not informed the state of plans to replace the basins. The Effluent Treatment Facility, which treats radioactive liquid from the basins, has a broken dryer, the state said. The state also listed as priorities full operation of groundwater treatment systems and planning for the disposition of cesium and strontium capsules stored underwater in a deteriorating storage pool at the Waste Encapsulation and Storage Facility.